Notice that the “WebServiceBinding” attribute has the “Name” argument set to “TestService”, I’ll explain this later. 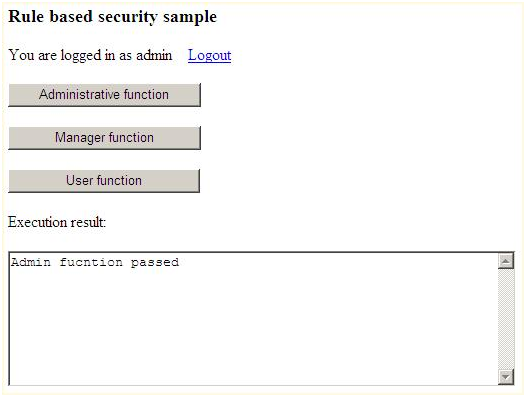 Rule based security is a very effective way to authorize your code, and code access security is a clean, easy to use and effective way to handle the security validation. 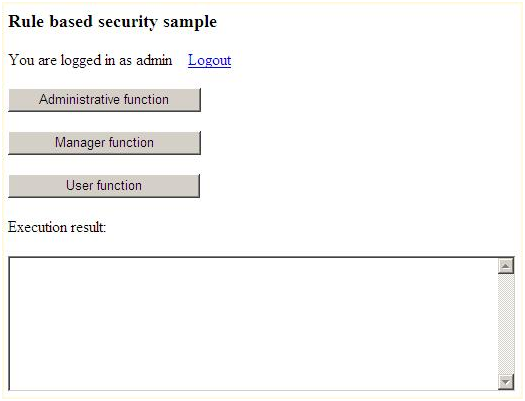 The Enterprise Library Security Application Block provides a configurable way to handle Rule based security. You need the Enterprise Library installed. First, we need to implement our custom membership provider, in this example I’ll just use static code to explain the provider [Not going to the database or anything]. Then, we need to implement our custom role provider. Sure, you can build your own providers with a custom database. 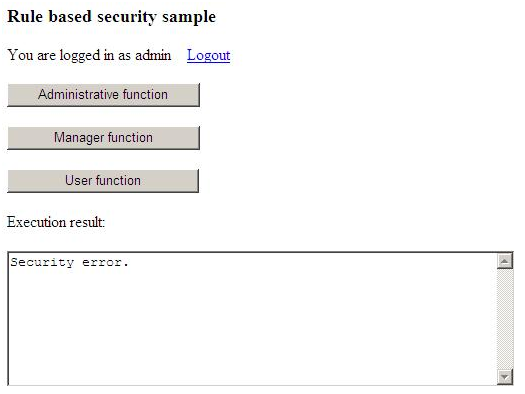 I use the Enterprise Library Security Application Block to make the validation on the rules from the configuration file. <add type="Microsoft.Practices.EnterpriseLibrary.Security.AuthorizationRuleProvider, Microsoft.Practices.EnterpriseLibrary.Security, Version=3.0.0.0, Culture=neutral, PublicKeyToken=b03f5f7f11d50a3a"
In the above code, I had registered the [AuthorizationRuleProvider] from the Enterprise Library and configured our custom membership and roles providers. 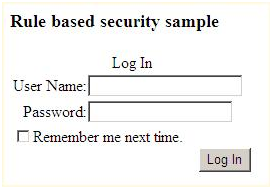 Navigate to the login page, and login with [admin] and any password. 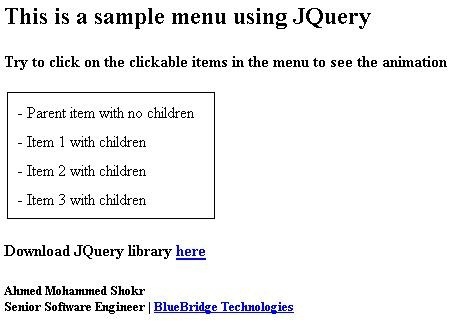 Silverlight is a rich framework that works in web browsers using a browser plug-in, just like Flash, but with it, you can interact more easily with .NET libraries. 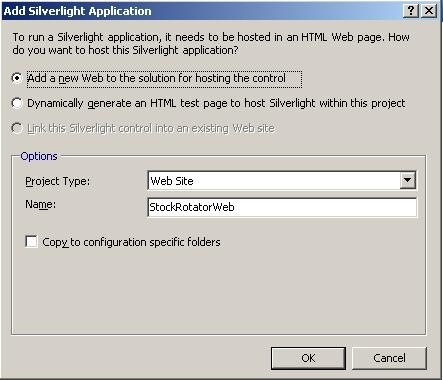 Silverlight has the same code-behind model that exists in ASP.NET, and operates under a modified light version from the .NET framework. With Silverlight, you can build Flash-like applications with full .NET server side code integration. 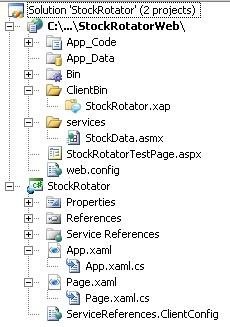 Now, I’ll go through how to build a stock rates rotator with Silverlight and embed it into an ASPX page, step by step. First, you have to download the Silverlight Tools Beta 2 For Visual Studio 2008. Select the first option to add a new web site to test your Silverlight controls, and click OK.
App.xaml: The entry point for your application that tells which control to begin with, and within it, you can declare the shared variables. Page.xaml: A Silverlight control which will hold the XAML and has a code-behind file “Page.xaml.cs” which holds the server side code. <textblock text=" Updating stock rates ...... please wait "
I made the animation to rotate the “txtResult” textblock from right to left forever. This is a very simple animation; also, I added another textblock to simulate the loading effect. Now, I’ll code the web service which will provide the stock rates to the Silverlight control. It’s a very simple web method just to return the required string. Now, we must code calling the web service from the Silverlight control. // Hide all the nested lists (on the first tinm only).